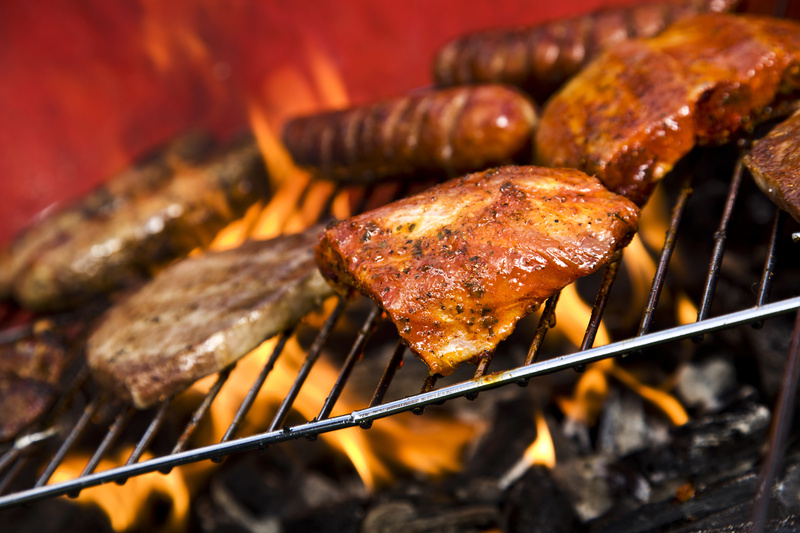 Choosing a great barbecue grill might be more complicated than you think. Sure, gas and pellet grills are convenient and electric ones are, well, electric. But nothing, absolutely nothing, compares to the taste you can achieve with a high-quality charcoal grill. But the supreme happiness of your taste buds isn't the only benefit. If you have a buddy who swears by his gas or pellet grill, it's time to set him right with the advantages we'll discuss here. Let's get our flame on. Burn, baby. Burn. Once you try charcoal, you won't turn back. Let's get it out of the way now because the smokey, tender taste you get from charcoal grills can't be achieved with gas or electric ones. If you think we're yanking your chain, consider this: about 71% of American grillers give their nod of approval to charcoal grills and smokers because of the improved flavor. In your face, electric and gas lovers. Those steaks are cooking way faster than the potatoes! Whatever should you do? If you have a capsule-shaped PK Grill, it's pretty simple: move the steaks over to the cool side, away from the charcoal. Your steak can rest and continue to absorb those smokey flavors. You can cook an assortment of food on a single charcoal grill with ease. Wanna know the number one pro tip for controlling a grill? Get yourself a good high-quality thermometer. It is a myth that real grillmasters don't use them. Gauging the internal temperature of the grill and the meat inside of it is essential for making consistently great barbecue. Jim Shahin of the Washington Post writes, "You want to cook something quickly, you can. You want to roast something over time, you can do that as well. We're not just talking meat, either. Think vegetables and fruit, too." 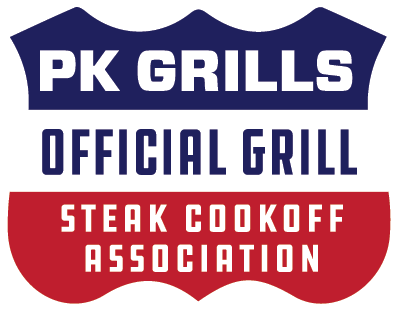 A PK Grill grill can be purchased for as little as $369. Sure, that's not chump change but when you consider that the cast aluminum PKs last for decades, PK's cost of ownership is much lower than many other grills that have to be replaced every few years due to rust. Meanwhile, most gas grills can run you into the $1000s. Laugh at your friends as they lug huge propane tanks or extension cords around because all you have to do is fold yours down and wheel it off to your car. You can even throw your bag of charcoal inside. Grills should be portable, not hernia-inducing. If you're intimidated by fire starting, it can be our little secret. A basic charcoal chimney and a wad of newspaper and a match can have you cooking over a hot bed of coals in 15 minutes or less. The age of lighter fluid and a carefully applied flame are over. It is no secret that charcoal grills burn hotter than their counterparts. It's what lets you get that crispy, crusty outer layer and tender meat inside. A true grill master understands how to use the flames to his or her advantage. You can even use the palm test to estimate temperatures and decide when to add food. Furthermore, with a grill like the PK, meat can be cooked slowly, known as indirectly, for long periods of time allowing it to take on delicious smoke flavor and keep all that moist goodness inside. There really isn't much to a basic charcoal grill, meaning repairs are easy to make. You simply replace the parts. Bam! You're done. With an electric, gas or pellet grill, things get much more complicated. Much. Rachael Ray Magazine writes, "Competitive cooks wouldn't be caught dead near a gas grill -- they believe charcoal lends a smokiness and caramelization that gas can't match." If Rachael Ray doesn't know what's best, no one does. And if you're ready to follow her advice and be a charcoal grill master, take a look at our PK360. Charcoal grills for the win; now let's fire it up!